The studies in this collection deal with a variety of subjects. Their focus is the Roman Empire in the East, the Roman army, Judaea in the Roman period, and Jewish history. Inscriptions are published in them and literary sources discussed. First, Judaea in the period before the arrival of the Romans as well as under Roman rule forms the centre of attention. Here, articles on specific documents are presented and historical problems discussed ranging from the Seleucid period to the Later Roman Empire. 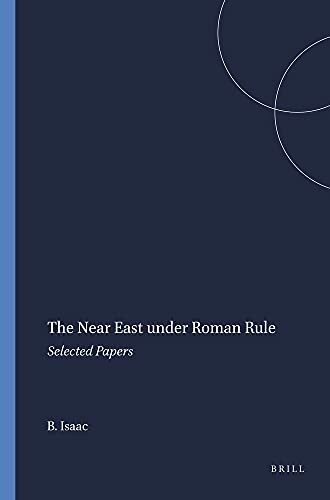 The second part of the book contains studies of the wider area and the third part is concerned with the Roman army, its organisation and aims in the Frontier areas. Many of these papers are hard to find and it is particularly valuable to have all of them together and logically arranged in one volume. Moreover extensive discussions of recent publications and newly published material have been added here. Benjamin Isaac, Ph.D. (1980) is Fred and Helen Lessing Professor of Ancient History at Tel Aviv University. He has published extensively on Greek and Roman history and the archaeology of the Near East. His books include The Limits of Empire: the Roman Army in the East (OUP, 1992, second edition).